As professional genealogists, our team loves what DNA information can do for connecting us with those who have gone before us. We’ve created a free chromosome mapping tool that shows you the percentage of DNA you share with each of your grandparents and where your DNA coincides with theirs. With information from just three autosomal DNA tests (yourself, a paternal grandparent, and a maternal grandparent), the tool will produce a graphical genetic inheritance chart illustrating the segments and amounts of common DNA. 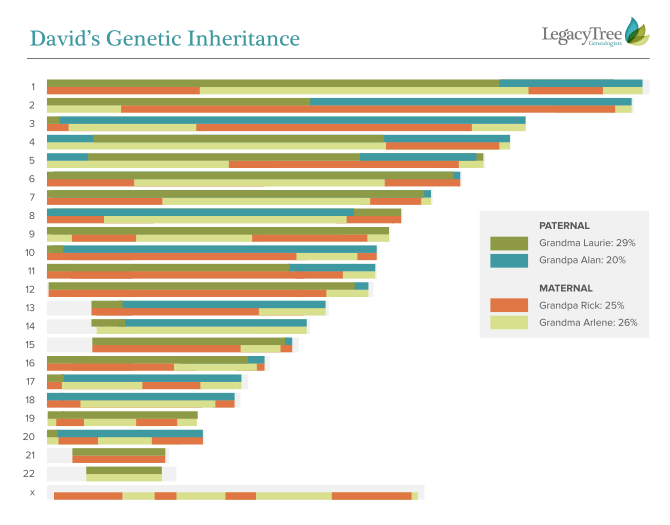 Don’t know who your grandparents are or want a chart with more ancestors? Contact us for a free estimate for help! Perform three autosomal DNA tests: one for yourself, another for a paternal grandparent, and another for a maternal grandparent. We recommend using the FamilyFinder test at Family Tree DNA. Create a file with the segments of DNA you share in common with the paternal and maternal grandparents. 8. Names entered in the entry form must match EXACTLY the names that are in the CSV file. Family Tree DNA adds a space between the first name and the last name if there is no middle name. 20. If you have a START LOCATION match on CHROMOSOME 22 that is larger than 15492342, change the number to 15492342. If you have an END LOCATION match on CHROMOSOME 22 that is larger than 45772802, change the number to 45772802. After you create the chart, if your final unassigned percentage is less than 1%, check to make sure you entered these START and END numbers correctly. 15. Ensure that there are no segments of DNA shared between the maternal grandparent and the paternal grandparent. If there are, delete those values. 26. If you have a START LOCATION match on CHROMOSOME 22 that is larger than 15492342, change the number to 15492342. If you have an END LOCATION match on CHROMOSOME 22 that is larger than 45772802, change the number to 45772802. After you create the chart, if your final unassigned percentage is less than 1%, check to make sure you entered these START and END numbers correctly. 6. Ensure that there are no segments of DNA shared between the maternal grandparent and the maternal grandparent. If there are, delete those values. 17. If you have a START LOCATION match on CHROMOSOME 22 that is larger than 15492342, change the number to 15492342. If you have an END LOCATION match on CHROMOSOME 22 that is larger than 45772802, change the number to 45772802. After you create the chart, if your final unassigned percentage is less than 1%, check to make sure you entered these START and END numbers correctly. Upload the file to our tool below. Please note, overlapping segments in the input file may be deleted from the output file when utilizing data for all four grandparents. This does not affect the chart itself—it will correctly display unassigned segments wherever there are overlaps. First Name of Grandchild: Male? Names in the CSV file must exactly match two of the names below. Learn more about how Grandparent Inheritance Charts are created. This tool is in beta. Please contact us to report issues. Need help? Our professional genealogists would be happy to create your Grandparent Inheritance Chart for you! Report requires information from 3 DNA tests: focus individual, a paternal grandparent and a maternal grandparent (tests not included). 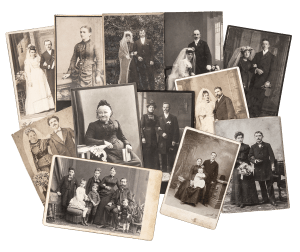 Discover which of your grandparents contributed to your specific physical traits – eyes, ears, hair, and more – in a 25 page report. Report requires information from 3 DNA tests: focus individual, a paternal grandparent and a maternal grandparent (tests not included). Completed report includes Grandparent Inheritance Chart above. 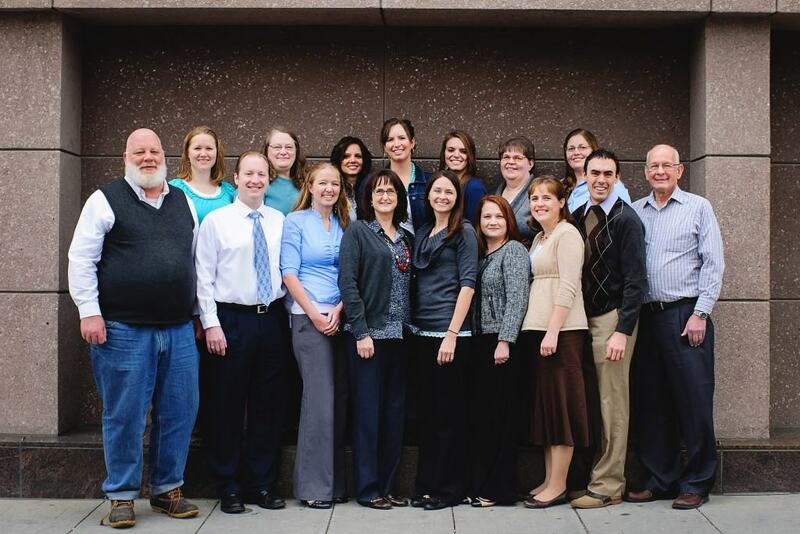 Hand-picked, tested and trained, our professional genealogist team knows how to find your story. We search the world for answers. Find the un-findable. And we’re experts at everything from tracking down rare international records to analyzing DNA test results. Based near the world’s largest family history library in downtown Salt Lake City, we also work with researchers and archives around the globe.